I've sent out some initial invitations tonight to what will become a different sort of on-line community. The targets and mission are clear . You can find them here on the website . I'll move this post across to the project's blog site in next day or two. While for some there is not much new in webinars and some teachmeets , nor in driving at the torpidness of the education sector and industry around sharing learning materials and knowledge. There are still many who have not changed their methods of working and we are really going to have a go at it in an innovative way. We are trying to summarise a lot of the excellent work that is already out there in one place. We are trying to model best practice by using open tools and resources and sharing with a creative commons licence. We will showcase tools that are within the reach of anyone. We have quite a compelling offer for ambassadors. We are mapping our offer to the digital competency frameworks for education as they exist in Scotland, so that the offer is relevant to all who wish to boost their skills in collaborating , sharing and co-creating. There will be plenty of space for collaborating and working together. The only thing that is out of scope is the kind of support that staff get already from within their own institutions and organisations . 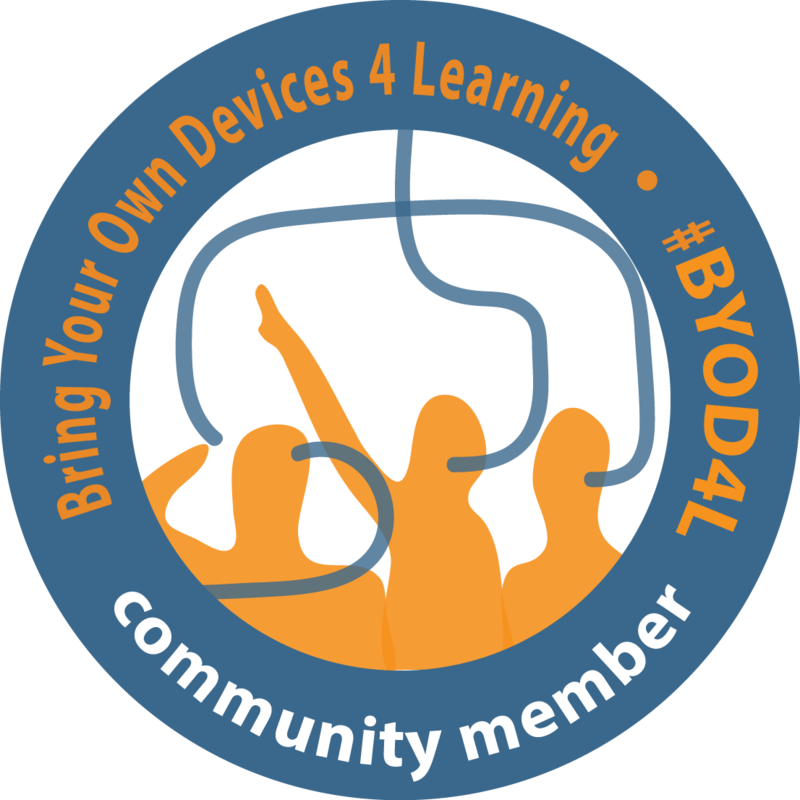 So we will be talking about learning design and tools for building learning content but we won't be talking use of specific virtual learning environments. We have started by sucking up and pointing to the useful courses and resources that we know about already. We do know when the discussion gets going there are many that we have not discovered yet. To some, the website and resources, might look a bit different . The whole resource is being built in a way that we hope can move from being a website with some interesting bits to being a community resource owned and led by the ambassadors. This is thanks to some creative thinking and support from Google Apps for Education. I am sure this won't be without some initial technical hitches - but that is what learning is all about. I'm afraid everyone can't be ambassadors, our target is membership from Scottish Schools , Colleges, Universities , Employers and Work-based learning providers with an interest in Industry4.0 and the innovation centres and agencies in Scotland around this. If we break some of the silos down around this we will have achieved our mission. So why this post - if you work in one of the above please consider becoming an ambassador and start following NMIS-Skills . Have a look around the website and feedback please. If you are from my network and the bigger wider world of digital skills for education and open learning, then let us know what we need to add to help our community find your resources. It is only once every few years that the Association for Learning Technology Conference arrives in Scotland. The request below arrived today and I thought it worth simply blogging around. It would be great to see a strong Scottish Education presence - public bodies , Schools and FE Colleges could both learn a lot and contribute a lot to the discussion at the conference. It is also an opportunity for those working in the private sector to come along and share opportunities. The praxis in Education is a global one. Here is an opportunity to share with a UK and International Audience in Edinburgh and take some great ideas back to your own institution to support your learners , and build your network to weather the storms ahead. The Call for Proposals for the ALT Annual Conference 2019, taking place 3-5 September 2019 in Edinburgh, is open until 13 March. We would be very grateful for your help in disseminating the information below within your networks and encouraging colleagues to consider submitting a proposal. The Call for Proposals for ALT’s Annual Conference 2019 is now open for you to contribute to the critical dialogue we seek to foster on technology in education and its political, social and economic context. Student data and learning analytics: Critically exploring the intersections between learning technology practice, policy and projects and student data, learning analytics, and evidence relating to engagement. Where do we need to strengthen these intersections, in order to make more critical and effective use of student data and analytics in enhancing policy and practice? What are the ethical dimensions to data and learning analytics we need to better understand and respond to? Creativity across the curriculum: Nurturing the development of curiosity, open-mindedness, problem solving and imagination. How can digital learning and teaching across the curriculum foster creativity skills? What benefits can this bring? What can educators working across the schools, further and higher education curricula learn from each other? Critical frames of reference: To what extent are established concepts, models and frameworks relating to digital education still relevant to emerging practices and possibilities? What are the concepts and theoretical frames of reference that can support further critical research and reflection, and inform more critically grounded digital education practices going forward? Learning Technology for wider impact: using Learning Technology to enable learning which is distributed across formal and informal communities, that supports more inclusive curricula and promotes accessibility, transcends established digital silos and institutional boundaries, creates digital ‘third spaces’ to enable learning amongst those who would otherwise not meet, or which locates opportunities for learning within contexts and communities where there is disadvantage, disenfranchisement or a lack of opportunity to engage. Work which has a high impact on lifelong learning, in democratising access to socially valuable knowledge, and in addressing wider societal needs. Wildcard: if your work doesn’t relate directly to any of the conference themes, then we encourage you to select the wildcard theme when submitting your learning technology research, practice or policy work from any sector including further and higher education, schools, vocational learning and training, lifelong learning and work-based learning. All submissions are made via the ALT Online Submission Form. All rooms will have a projector or screen and laptop as standard. As there are up to 6 parallel sessions running at any time, you need to ensure that your session can work well with 10-50 participants. If you are seeking to increase the impact of your work or looking to disseminate your work beyond the conference, we encourage you to make a submission to the Research in Learning Technology journal. The journal is a Gold Open Access journal and we do not levy any charges to ensure researchers can disseminate new work in learning technology as widely as possible. We also invite you to consider entering the ALT Awards which are now open for entries from individuals, teams and research project, with winners announced at the conference. This is the 26th ALT Annual Conference. We will welcome 400-500 participants in Edinburgh over three days with a packed programme and social activities. We design our conference to be welcoming and friendly, with specific activities for first time participants. During the conference ALT members organise meetings and sessions such as annual meet ups of local Member Groups, meetings of Special Interest Groups and information sessions to offer ways to get involved and showcase what’s going on across the community. There are new CPD standards for all those teaching in Scotland's Colleges . The Standards are designed to support and encourage lecturers to develop a clear understanding of their role and how they contribute to wider student outcomes. Underpinning the Standards is the expectation that individual lecturers are expected to commit to and be responsible for their own continuous professional development, ensuring the quality of the student experience. The full standard can be downloaded from the CDN Website. They do cover a lot more than digital skills ! Understand how to embed a range of digital technologies to enhance learning and teaching and assessment. Understand and evaluates critically the use of technologies in optimising students’ ability to learn and their relevance to the world of work. Understands how to keep up to date with emerging industry / subject technological advances. Understand how to embed appropriate digital technology. Understand the safe use of technology and the necessity for cyber resilience and security. Understand the nature and agenda for sustainability, and works in partnership to ensure the most effective, efficient and inclusive development and use of learning resources. Adopt creative approaches to the embedding of appropriate digital technologies for effective planning, delivery and assessment of learning. Promote and supports the safe and respectful use of digital technologies and the impact on others. Promote and facilitates wider access to learning and teaching and assessment through the effective application of digital technologies. Facilitate and engages in the use of local and global digital learning communities to enhance opportunities for collaborative practice. These competencies sit well alongside Citylearning4.0 and a range of support from Jisc and external agencies too. From a distance I did try very hard to get some more focus on open learning and the sharing of learning materials using CC and or other relevant open licences. And to pick up too on strands emerging from Europe and USA on digitals skills frameworks for teachers. As it stands the new standard is not quite aligned to what is happening in School space or what is happening in England. - but it is a good start ! The list above will be useful to anyone developing a digital service or preparing training for an FE audience in Scotland. A baseline for aspirations to start ! unless you beat me to it ! 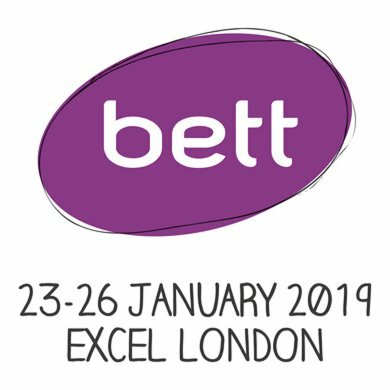 I am heading down to #BETT19 early on the Wednesday morning for some pre-meetings and then the usual busy diary of meetings in and around the conference, I'll be around until Friday afternoon. My diary is pretty full but - if you have something unique and engaging aimed at any part of the assessment , e-portfolio space or you have some genuinely open learning or you are looking for meaningful partnerships with school , college or vocational learning space either in Scotland or internationally, then I would be interested in talking to you. I am easy to get hold of - just tweet something to @joecar and I'll respond. You can find out about me and my institution here. Scottish Education really is very unique and very distinct to what is on offer in the school , college and vocational space in England and that is unique in a good way - the system is much more open to innovation in many ways. ( this message especially for any attendees to the Education World Forum who may have been told that the UK Education System is all modelled on the English system). Around the conference I am meeting the usual suspects from Microsoft , Google and Canvas and other global vendors along with contacts from thirty years working in and around educational technology. One of my hot tickets this year is the Google Innovator Networking Lunch on Friday. GEG UK is hosting a networking lunch at Bett 2019 it is a chance to meet GEGs from across EMEA to come along and meet other educators who are passionate about using technology in education. I am doing a lot with Google Apps at moment and always looking for innovative partners. This link takes you to booking page. Above all I look forward to catching up with faces old and new. Fill your diary with meetings before you go - or you will be diverted by the sheer scale of BETT and not be as productive as you could be. You should already know what you need to find out ! Travel light , use the cloakroom , don't rely on wifi in exhibition area, bring an additional charge pack for any mobile device, drink lots of water and be prepared to walk long distances between meetings. Use the BETT mobile app for networking it is getting better. Wednesday morning catch the ministerial address - it often sets the tone for lots of what is happening around the conference - if you like me are from vocational sector look out too for Minister for Apprenticeships and Skills who usually does a Friday morning slot in one of the main arenas. When you are not networking book into a relevant session in the conference programme you can review the exhibition stands as you go between meetings and conference sessions. If you are not going to BETT awards Wednesday - fill your evenings with meetings too - there are lots of networking events . If you are not running for a train or plane get along to Teachmeet Bett on Friday evening. You may not have spotted but it is a sort of two for one deal this year you can pick up sessions at the Education Show which is in adjacent hall . This event usually held in Birmingham in March with very much a school policy focus. You will hear a lot of self centred crap from those who have not spent a lot of time in front of real learners - if you work in Education policy - please do not feel inadequate in front of lots of expensive glossy technology and/or salesmen called vice president , keep your feet on the ground , but also don't be a technology denier. (it really does improve learning and learning outcomes) and listen to learners and teachers as to what would make a difference. If you really work in school , college or work based learning - you know already how lucky you are to have been given time to get to this event in London. Take this opportunity to challenge the policy makers , tekkies and pseudo education leaders to deliver things that can help the learners in front of you. Think ahead too what will help learners over next 3-5 years. You can do that ! , We do actually know impact of Industry 4.0 and what learners and the economy need and don't be scared by statements like 65% of future jobs are not invented yet, it is fake news. Above all share what you discover with the colleagues who are not there with you - get on to twitter , blog etc and focus on the useful links and ideas that will help them and help you later- not pictures of your lunch or celebs like Bob Geldof !. Have a mind open enough to see what you can do to change things for your learners .. but be street wise enough not to buy the latest gizmo with a fifty year lease back and a maintenance licence that will mortgage their future.